Konecranes reach stackers are the true industrial workhorses when it comes to loading and unloading empty and fully loaded containers. 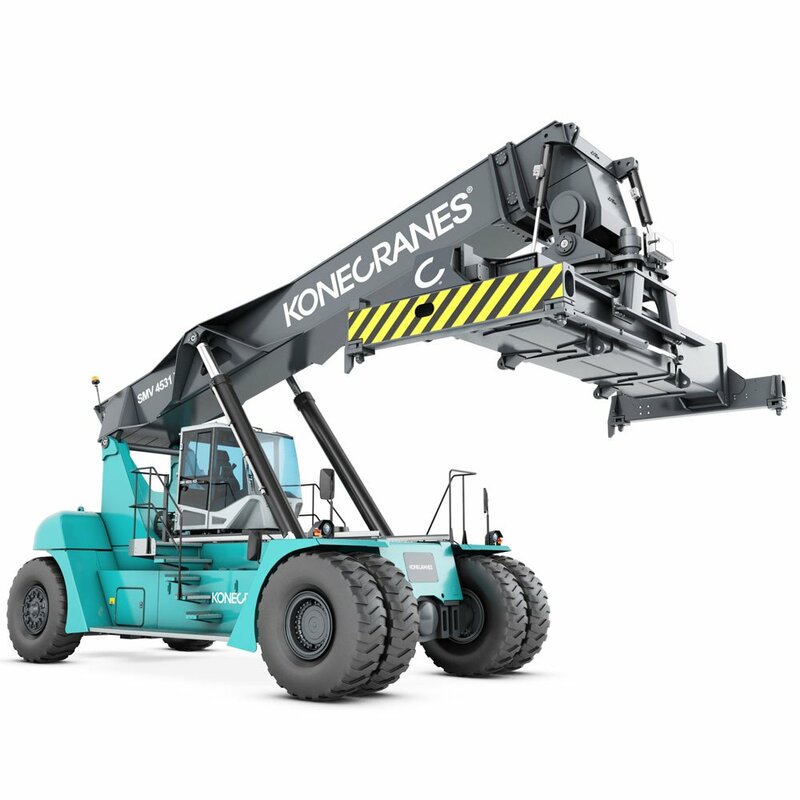 There are very few competitors that can match Konecranes in terms of lifting capacity and efficiency. With their ability to lift heavy loads and up to 3 rows down, they play a vital lifting role and can be suited to many lifting applications including container handling, intermodal handling and industrial handling.